Using the memory of your dead son to gain some political points is shameful – and shows Mr Cameron has no respect or shame. There have been a number of suicides related to people benefit benign cut or stopped. 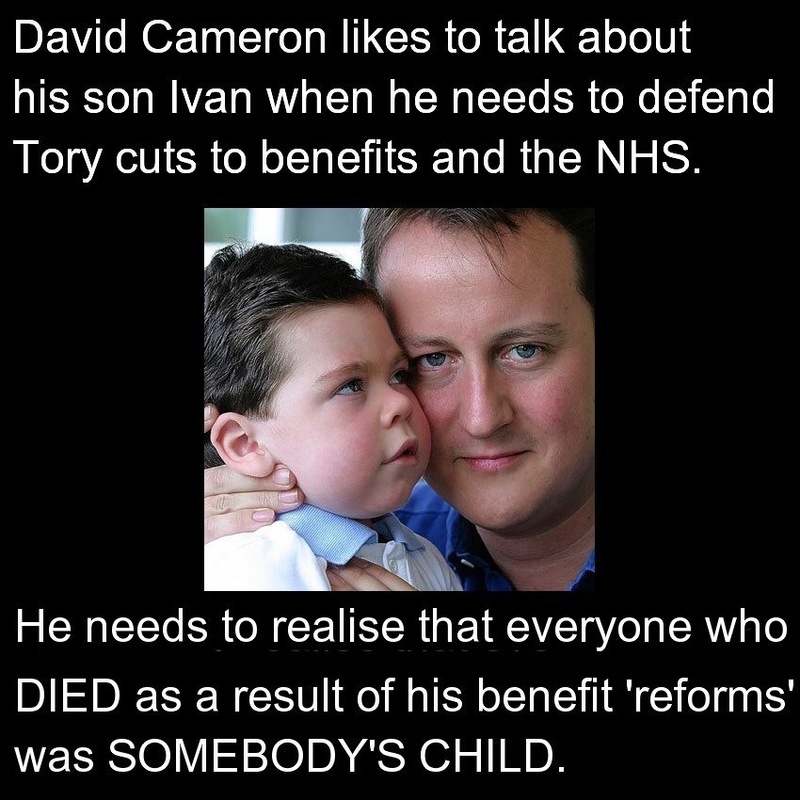 Cameron’s cynical use of his late son is enough to turn anyone’s stomach.